Bad odors in the freezer are often caused by old or spoiled foods, strong smelling foods or foods that have been improperly stored. These odors penetrate your foods and can affect its taste. 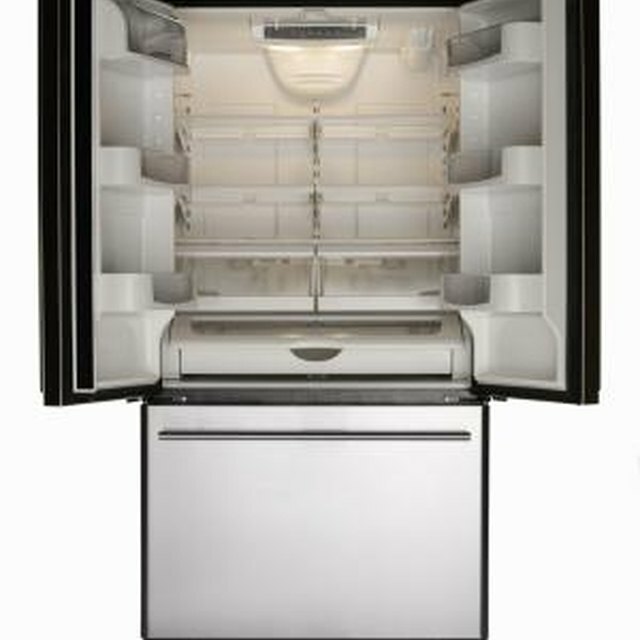 To prevent freezer odors and keep those odors from affecting the taste of your stored foods, freezer manufacturers suggest cleaning the freezer regularly, storing food properly and using solutions to absorb any odors. Clean your freezer regularly to reduce odors. Keep the freezer's thermostat at zero degrees Fahrenheit to keep food frozen sufficiently. Check the thermostat daily to make sure the freezer is maintaining the setting. Temperatures above zero degrees may cause the food to thaw and emit odors. Check the freezer daily for spilled foods. Regularly throw away food that is freezer burnt or old. Make sure all foods, especially strong smelling foods such as onions, are covered tightly in a freezer-safe container or with some kind of wrapping such as a freezer-safe plastic wrap. Clean the freezer regularly. Remove everything from the freezer including any removable parts such as shelves and bins. Wash all removable parts in warm water with a mild detergent. Rinse well and dry thoroughly before placing back in the freezer. Wipe the interior of the freezer with a sponge moistened with warm water and 1 to 2 tbsp. of baking soda. Wipe the interior dry and leave the door open until it dries completely. Replace the water filter regularly, based on your manufacturer's recommendations. Bad smells can seep into the water filter and cause odors to permeate the freezer and the food stored in it. Place a box of baking soda in the freezer to absorb odors. Poke several holes in the box. Real Simple: How Can I Keep Ice Odor-Free? West Viriginia University Extension Service; Refrigerator and Freezer Safety; Susan Bauer, et al.